If you’re looking to broaden the way you communicate with current and perspective clients, and to promote and market your business, video is the clear way to go. More and more web users are turning to video as their primary tool for learning about the world and for finding answers to their questions. The more value you can add to a person’s life, the more they’ll trust and keep coming back to you – and video is a great way to do just that. Any businessperson knows that customer testimonials are key pieces of social proof to include on websites and promotional materials. But it’s one thing to read a customer’s testimonial, and another thing to actually see and hear a happy customer on video. That’s why video testimonials make such a huge impact. If someone has used your product or services, see if you can convince them to record their experience and opinions in a short video which you can share on your website, on YouTube, on DVDs and more. For example, we shot a series of testimonial videos for Comfort Keepers, so they could show how amazing their franchises are. This is a great way to get social proof and let other people “brag” about you, your business and your services. Here is a testimonial we got from Tom Ziglar of the Ziglar company (Zig Ziglar was his father). We produced a video for them and he gave us a glowing testimonial. Giving presentations at networking and industry meetings is a great way to inform others on trends, and that’s just what we’ve done with great success. Lately we’ve been recording these presentations and combining them with the Powerpoint slides used during the presentations. These presentations can then not only be of use to us and potential clients during meetings, but also to anyone who finds them on our website, on YouTube or any other site where they’re featured. This has proven to be an invaluable tool for sending people back to our site for more information. This strategy also helps with search engine optimization (SEO). Google loves fresh, new content and puts a big priority on video, so recording your presentations will greatly increase the chances that new eyes will hit your website more frequently. Not only will perspective customers find your site to have their question answered, they’ll be able to explore – which will make it more likely for them to become clients. Here is a presentation video that we recently filmed that lead to her landing over $10,oo0 in additional client contacts. It was filmed before a live audience. You can read more about her success story here. Do you have stories about how your product, service or excellent customer service has saved the day for a customer? Why not illustrate for potential customers exactly how that experience works via video? Seeing this on video adds more personality and flavor for the viewer and makes it more likely that they’ll connect on a deeper level with your brand. It allows your “special something” to shine through and help you stand out. 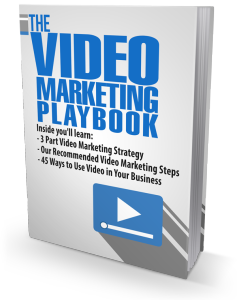 These three strategies are a good place to start in terms of using video to grow your business – but there are countless other methods being used with great success in all sorts of markets. Discovering the ins and outs of video, and how it can benefit your business, may seem overwhelming – but that’s where True Focus Media comes in. We make it a point to stay at the forefront of trends in social media and use that information to help businesses like yours grow. How can we help you?